Do you feel tempted to throw in the towel regarding your marriage? 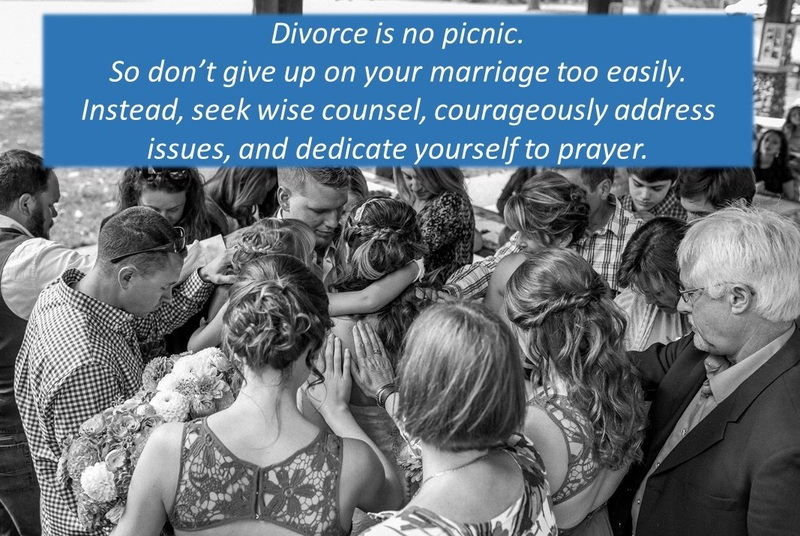 I know it can be tempting to just bail out, but please let me encourage you to do everything you can to fight FOR your marriage! When you’re going through a serious challenge in your marriage, it seems right to choose the path where the pain can be quickly relieved. In a nutshell, it often seems best to choose divorce. But I’ve been through divorce, and I can honestly say that even though some of your pain will be relieved, you’ll be faced with a whole new set of problems and heartbreak. So, maybe you should try something else. What if you were to seek outside counsel for your marriage? What if you were to spend time on your knees crying out to God on behalf of your marriage? What if you were to courageously, but respectfully, confront your husband if he is seriously out of line in some area? That could be the beginning of a turn-around in your marriage. ← 2 big reasons to avoid looking back!